Need something to wake you up that cools your summer down? 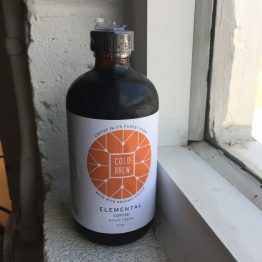 We brew our cold brew for 18 hours. As soon as it’s reached that point of chilly perfection we bottle it up, and deliver it straight to your porch. What could be better than coming home to that? Local pickup and delivery only.